I really like the city of San Diego. It’s a very clean city with little to no smog in the air, unlike Los Angeles. I was there for Comic Con a few days early last week. 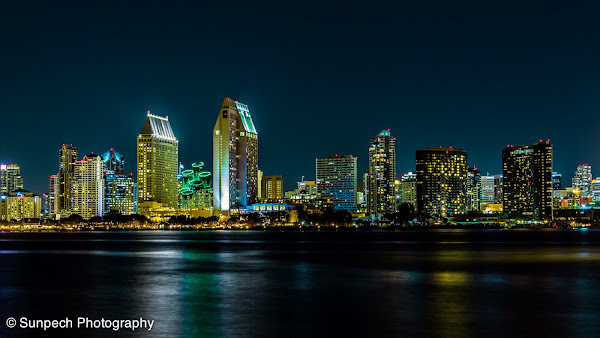 So I put aside some time to go take pictures of the skyline from Coronado Island. I did a little research on 500px and picked a spot that had a clear shot of the skyline. I was planning to take shots in bulb-mode, but I forgot to bring my shutter release. So I just stuck in aperture-priority mode around f/8 on my tripod and hoped that no ferries would come into the shot for the long exposure.